4 ports, 5 Amp (25W) USB Wall charger for charging multiple devices together, Minimize waiting time and avoid taking turns on the power outlet. 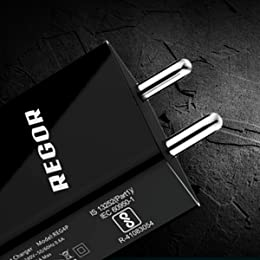 At Regor we understand the importance of time and money and hence we thrive on offering products which are not only of superior quality but also friendly to the pocket. We believe in providing superior quality and hence the big deal about tiny components that eventually lead to a fabulous product. We are committed to bringing solid products backed by friendly & responsive service to delight our loyal customers in India. •Now everyone in the family can charge their devices together • No need to carry multiple adapters for your devices • Our 4 port charger can charger 4 devices at high speeds ensuring ease & convenience • Now no more fighting. 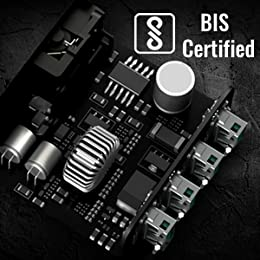 • Regor Wall Charger is certified by Bureau of Indian Standards (BIS) • With features like Over-charge protection & surge protection it passes all the stringent tests & helps protect you & your devices from shocks and short circuits. • Say goodbye to chargers with European pins which are thinner than our Indian Pins •No more issues of your charger falling off from the socket & damaging the pins • Our charger has Indian pins that are made for Indian sockets •It is a perfect fit & doesn't hang or fall off from the socket. 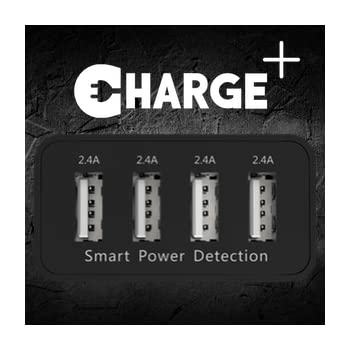 • Our unique Charge+ technology helps in detecting devices & providing optimum charging speed • This ensures maximum charge in quickest possible time • You can insert your device in any port & experience the same charging speed. • Each port provides 2.4 Amp speed with a total output of 5 Amp • *For best results, use cables that support 2.4 Amp speeds. 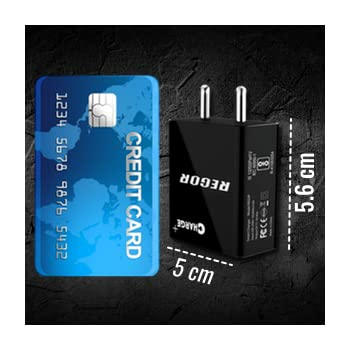 • Lightweight & compact size makes it a great travel companion • No more stress of carrying multiple chargers while traveling • 110-240V input lets you charge anywhere in the world safely without having to worry about voltage input. • So go ahead & live life comfortably. Charging multiple devices at home or during our travel was always a messy affair. We had to take turns and wait for the other device to get fully charged. Sometimes, all the devices had to be charged together before leaving for somewhere important. Most wall chargers in the Indian market are not able to charge 2 devices at high speeds so charging 4 of them together was out of question. Additionally, the available options in the market were not BIS certified or had European pins. We wanted to develop something that would withstand the fluctuations of voltage and provide safe and fast charging at affordable prices. We wanted to create a product that would solve all our needs & make us happy. 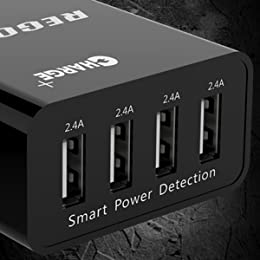 Powerful output of 5 Ampere that can charge 4 devices together, BIS Certified with Indian Pins, Charge+ technology that helps detect the connected devices, Over-charge protection & surge protection, jet black colour with glossy finish. The best part of this whole journey has been to read & hear all the amazing feedback our customers have to say about us! The joy of our customers loving our products as much as we do, pumps up our hearts & makes us work harder.